“The UK Independence Party, Liverpool branch, is dismayed by the decision by the Labour council to allow a parade through the streets of Liverpool, on 18th February, by militant Irish Republicans. The prospect of seeing seven Irish Republican Flute Bands, and their supporters, walking the streets of this city is an affront to all decency, and all who love our country. Over 250 Patriots are there now, many British Legion and ex Army are there also. 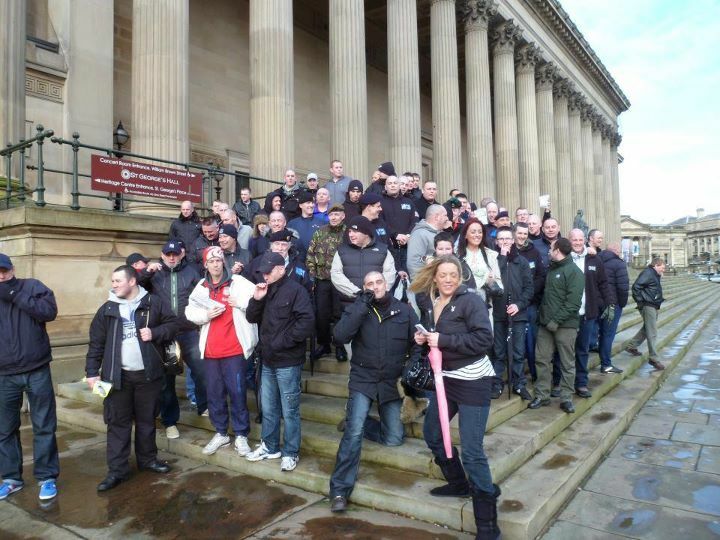 Some Warrington people who haven’t forgotten the bomb that killed their children. 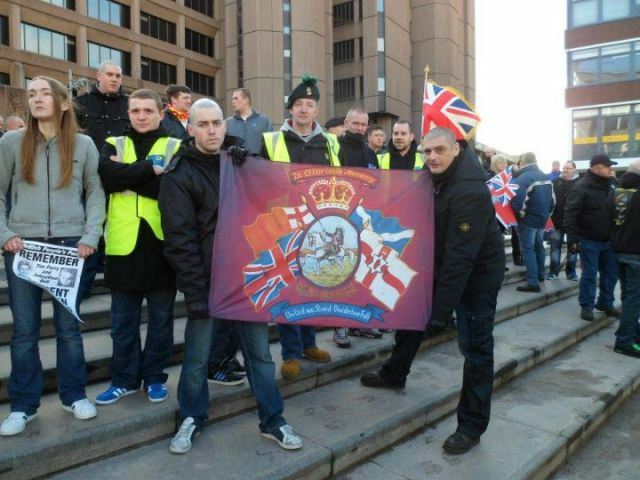 Police have been told they will not allow the IRA to march and if they attempt to there is going to be trouble. Hopefully they will prevent the march happening as nobody wants a riot to occur. In two separate incidents Commies and Anarchists carrying flags of support for the IRA have been badly attacked by unknown persons and some arrests have been made. A later update reported rumours that a number of coaches carrying the marching bands had been trashed. Corroboration has yet to be forthcoming. Coming as it does hot on the heels of Florence Anderson’s call for the IRA to bomb the annual Conservative Party Conference, shouldn’t the police be considering what to do about the potential ‘extremist’ threat emanating from within the Labour Party and the SWP, rather than taking a swipe at patriots within the EDL and various nationalist groups and parties? The Labour Party has long been a home to IRA sympathisers, and the SWP has shown unwavering support for Irish Republican terror. At least for those who got to hear about these events in Liverpool today, it should now be clear that the so-called ‘antifascists’ are nothing of the sort: they are in reality dangerous anti-British and anti-English militants. Looks like the anti-IRA feelings are still strong. I think I was staying at a Liverpool airport hotel in '93. Can't remember how scared I was, then, but I'm quite sure that was the feeling I was experiencing. Yes. The memory is still raw for many. This is sick not just Raw, who even thought this would be acceptable on English Soil, I'm glad that people power stopped this, the people responsible for giving this a green light should be tried for Treason!